Bogor is famous for many beautiful natural sights. 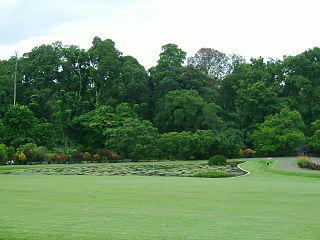 Such as Bogor Botanical Garden, Gunung Mas, and others. many tourists who frequent the popular tourist attractions in Bogor it. If you are bored with the natural attractions are crowded, Bogor also has many tourist attractions which are rarely known by tourists. Natural attractions of this alternative is not inferior to the popular natural attractions, the difference lies in a quiet and not crowded. Here are some alternative natural attractions located around Bogor. This tourist village located in Ciampea, Bogor. You will be greeted with the beauty of the atmosphere at this guest house. The sound of water flowing from the river Cinangneng very clear sounding. Beautiful vegetable gardens unfold. There is also work on the rice fields to learn, grow and harvest rice. You can also use bathing water buffalo plow rice fields in this place. The tour continues around the three villages are located close together. In Cinangneng village, tourists will be invited to visit the rabbit farm and given a lesson on making tempeh and tofu. In Kondang village, you will be invited to experience the making of a puppet show and a jacket. While in Bambu village, visitors will be taught how to make a dish of fish. The village is surrounded by a hedge of bamboo as well as a place of manufacture woven crafts. Other activities to do here is make a puppet of cassava leaves. Making cakes Bugis, learning to play the angklung and gamelan sunda, learning to sing and dance typical of Sundanese, and decorate hats hat is often used by farmers when it went into the fields. If you follow the package stay, travelers can wheel the village, you will be invited around the village with the local community while carrying a stick. This garden is located not far from Coventry. Cool atmosphere is felt even though this area is located in the hot zone. This place is also pretty cool because a lot of the trees are growing. This tour gardens surrounded by rice fields, fish ponds and orchards. Travelers will invited to do fruitwalk, which runs diarea orchard while learning the morphology of plants, cultivate the soil, to plant production phase. When visiting the fish pond, you also will explain the morphology of aquatic animals. This tour has a garden area with a pool of four different types of fish such as catfish, gold, carp, and pomfret. In addition to seeing the fish, you will also be taught how to grow with hydroponics method and filter the water by distillation techniques. Travelers also will be invited to a pool of mud, you can grow rice, mud play, and play tug of war. Environmental activities are often held in the gardens this tour is the processing of kitchen waste. All these activities will be guided by professional instructors. Other activities that can be done such as painting a kite, grafting fruit trees, planting orchids, and others. usually spend time each activity for 40 minutes. You are advised to arrive early so that they can feel the cold air and not hot. Pasirmukti tour gardens also comes with an exciting outdoor games such as paintball arena and ATV circuit. Once satisfied playing, you can stop by the souvenir shop that provides crafts, merchandise, plant seeds, syrup, marmalade, potted plants, and fresh fruit. Tourism Education Captive deer park is situated in the representative, cibubur. After passing through several major bridges and winding road, you will arrive at the location of the deer travel. from the entrance to the breeding site can only be accessed by walking and using motorcycles because entry can only pass along the 25-meter bamboo bridge. This small bridge impassable motorcycle because it is built of steel construction. This location is also often used for hiking trail. Views of the pine forest and deer groups will be treats from the garden tour this deer. deer species provided the type of Axis, Bawean, and Timor. Tame deer is also friendly to the geese removed at this location. You can give food to the deer while sitting on a bench under some trees located in the cool. You can also buy deer to be maintained and taken home. Deer Price Rp. 5 million to Rp. 10 million, inclusive of maintaining a license. Price depends on the type of deer has to offer. Currently, Axis deer become most expensive animal sold by the park.